As you rake your leaves, you’ll need to keep an eye on the rain gutters. It’s a safe bet they’ll be filled up with fallen leaves as well. There might be also a lot of debris left over from the summer and spring. 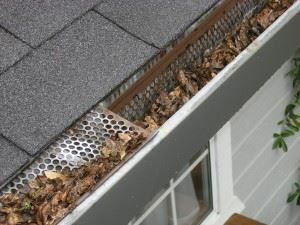 The best thing you could do to get your home ready for fall is clean out those rain gutters before the first big storm. That is also a good opportunity to give your roof the once over. Keep an eye out for any shingles that might be buckling or other problem areas. Those should be addressed right away. It is recommended that you clean your chimney at least once a year. If your family enjoys a lot of cozy fires in your fireplace, then you might even need a twice annual cleaning. Along with sweeping the chimney, the professional fireplace cleaners will also be able to check your flue to make sure that’s clear as well. Getting ready for the fall also means getting your firewood supply ready. Ideally, it should be stacked away from the house and covered from the elements. Every time you burn a new fire inside, you should bring in logs to start to dry out. Just make sure you check them for any uninvited guests like spiders or other bugs. Although you been using hot water all throughout the summer, you still haven’t turned on the heat. That’s going to change very soon. If your furnace hasn’t been serviced in a while, then it’s a good idea to get it looked over. This is not something you want breaking down in the middle of the winter. this is also the perfect opportunity for getting rid of rubbish. Whether you got yard waste outside or bulky clutter inside, you can always count on Junk King Hudson Valley to help get it removed from your property. They’ll send over a pair of workers who will take away anything you point to. Getting your home ready for fall is easy when you got Junk King Hudson Valley on the job. This entry was posted in Hudson Valley Junk Removal and tagged fall, home, Junk King on August 31, 2017 by Junk King. Last updated August 31, 2017 .